Designer Concrete Resurfacing has gained an acclaimed reputation for producing lovely concrete surfaces with the assistance of carefully employed stencil designs and patterns. 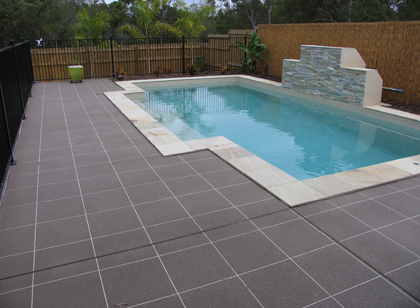 Beautiful decorative concrete contributes significantly to the charming appearance of residential driveways, pool areas, and pathways across the Greater Sydney Area. We assist our customers in transforming the appearance of outdoor features through the selective use of concrete stenciling. Employing stencils correctly to produce vibrant designer concrete surfaces requires training and skill. Both temporary and permanent stencils may contribute to the creation of elegant concrete surfaces. We possess expertise in this specialised field. 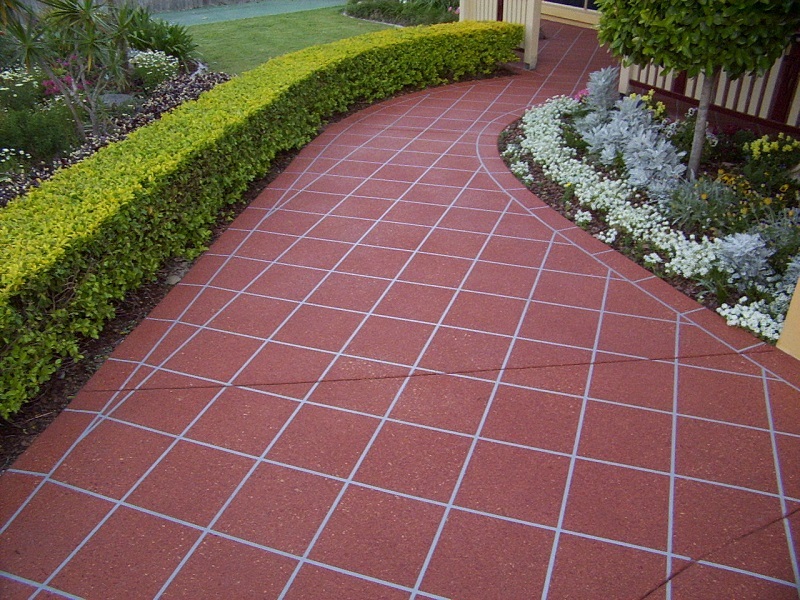 If you’d like to change the appearance of your home and grounds, investing in customised stenciled concrete features provides valuable assistance. Designer Concrete Resurfacing endeavours to help our customers achieve their specific decorative goals through the creative use of stenciling. 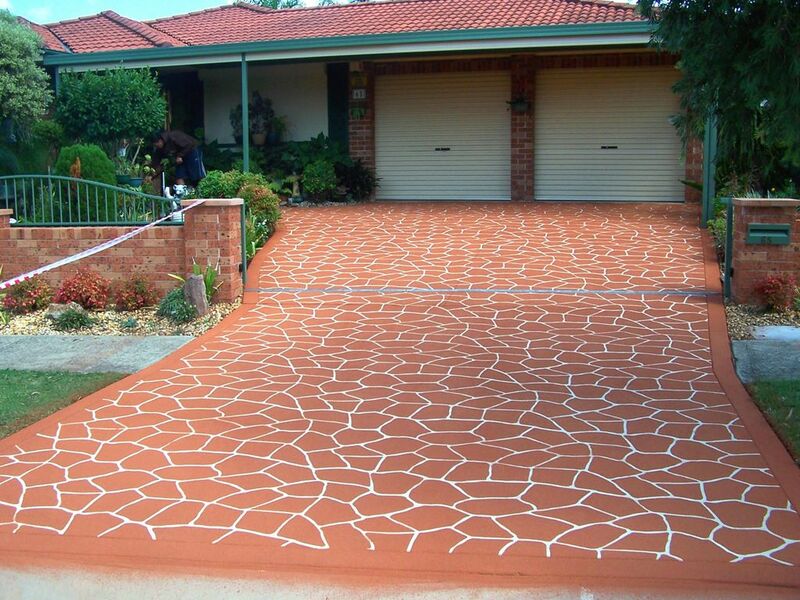 What Can Concrete Stenciling Do For Your Property? Our skilled concrete stenciling services can help to distinguish and enhance your home visually but also the value of your real estate assets. We’ll assist customers by creating unique concrete stencil patterns to lend textural interest to concrete landscaping features. Share your design objectives with us and we’ll work closely with you to help you achieve your vision for specific concrete surfaces. 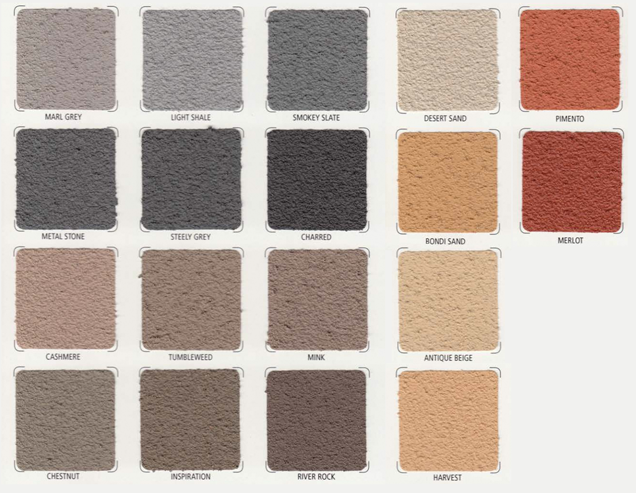 We employ a wide variety of unique patterns to help you obtain the distinctive, lovely concrete areas you desire. 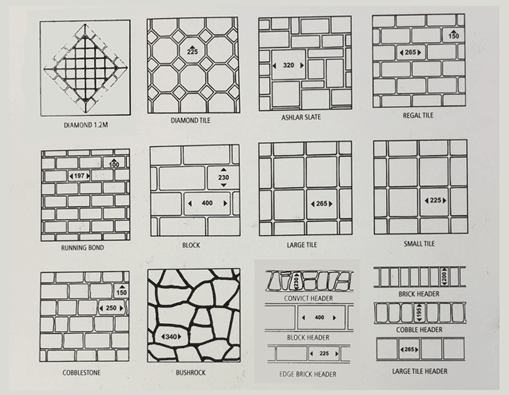 Do you wish to reproduce specific designs in concrete? Perhaps you’d like to mark your entrance with a concrete logo, a crest, or an image? We’ll undertake stencil design projects to help you distinguish your residence in an original, visually appealing way. We carefully protect adjoining surfaces when we utilize stencils. You’ll notice our care and close attention to detail during this process. 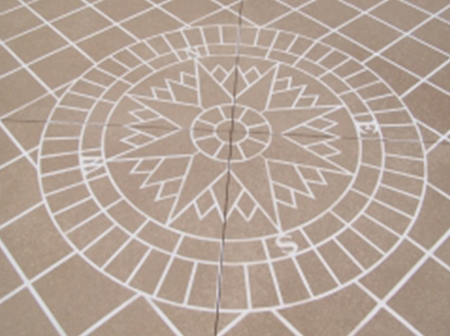 By carefully applying decorative concrete stencils, we help our customers create exciting outdoor settings. Ask us to help you complete landscaping project attractively using this service. 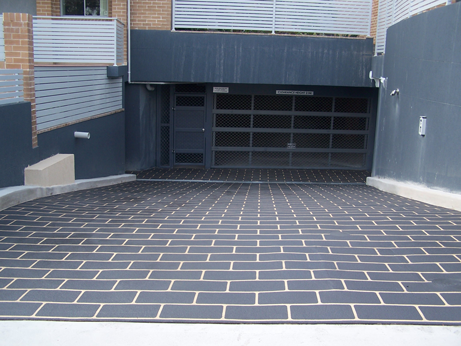 Today many homeowners in the Sydney Area ask us to employ stencils on driveways. 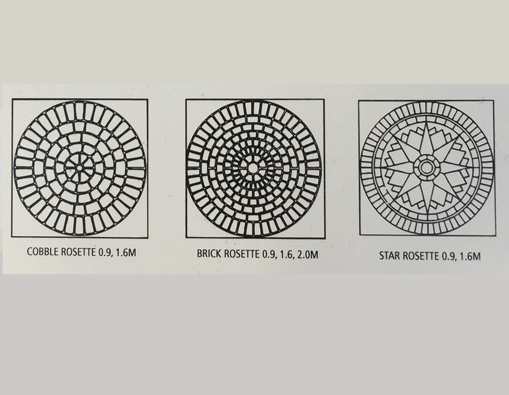 We can help you create masonry or cobbled effects by using stencils, for instance. 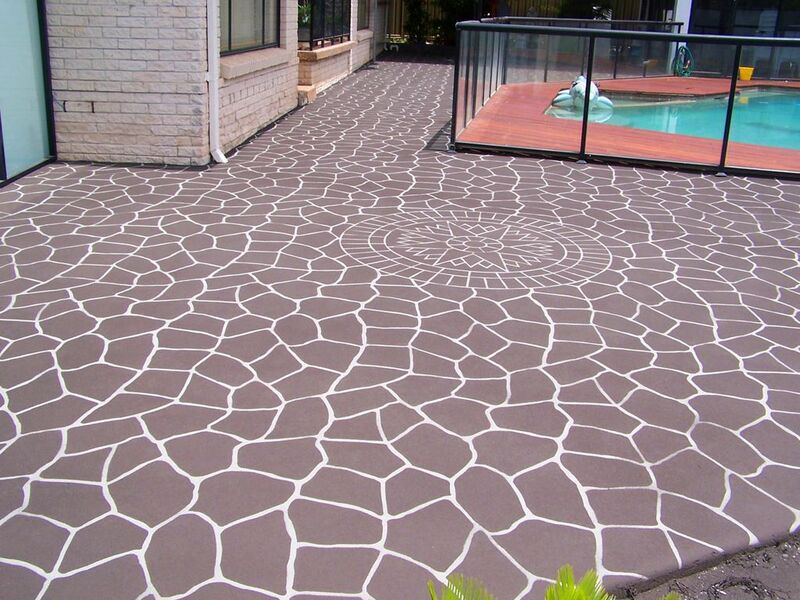 The use of stencils in pool areas serves a valuable décor function. Specify the types of stencils you desire to create a unique, charming poolside living area! Resurfacing a concrete pathway using stencils helps modify the appearance of a garden walkway in an interesting, delightful manner. We’ll use this powerful technique to update your property! Call us to book in a free on-site quote. There is no obligation to go ahead, but it is a great opportunity to ask questions and learn everything there is to know about concrete stenciling. We will arrange an appointment time and work on site until the work is done. Most concrete areas are stenciled and ready for use within 4 days.